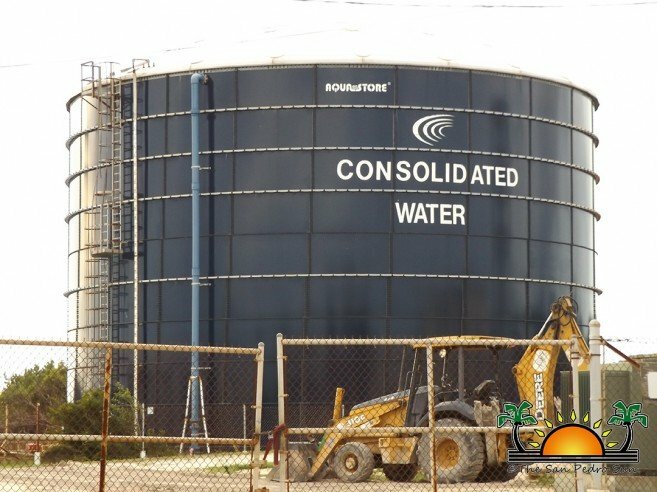 On Wednesday, February 13th, Belize Water Services Limited (BWSL) announced that they had reached an agreement with Consolidated Water Belize Limited (CWBL) for the purchase of its shares for US$7 million dollars. The acquisition of the company, operating on Ambergris Caye, was funded by a US$8.5 million loan from the Caribbean Development Bank, which will also be used to further improve and expand BWSL water system on the island. The process of the purchase was initiated shortly after the company announced its intentions to leave Belize in October 2018. CWBL claimed that it was having difficulties in repatriating profits out of the country. Thereafter, they entered a non-binding memorandum of understanding with BWSL for the purchase of its shares. They reached an initial agreement under the condition that BWSL helped them facilitate the conversion of their profits in Belize to U.S dollars, whenever they were transferred to their home country. BWSL complied with this condition and assisted them in repatriating the accumulated profits of US$5.35 million dollars. With the remaining funds from the loan following the purchase, BWSL is looking forward to expand its production capacity by investing in additional Reverse Osmosis infrastructure. The company is also expanding the storage capacity, which currently stands around 2.5 million gallons of water. According to BSWL, to store more water, they started the construction of an additional one million gallon ferro concrete storage tank in July 2018. The tank is being constructed in two sections so as to facilitate maintenance whilst ensuring storage in the other half. The first half of the tank with a capacity of half-million gallons is scheduled to be completed by March 2019, and the second section in August 2019. This additional infrastructure is expected to prevent another water shortage on the island, as experienced during the Easter holidays last year. The shortage affected both residents and tourists. Residents had to resort to storing water in buckets because of the shortage. At the time, BWSL blamed CWLS of being unable to supply the quantity of water needed for the island. However, CWLS stated that they could meet any demand and it was BWSL who failed to make such a request. BWSL is hoping to boost its production capacity by October 2019, which means that all projected improvements for their services on Ambergris Caye will not be completed before this year’s Easter holidays.